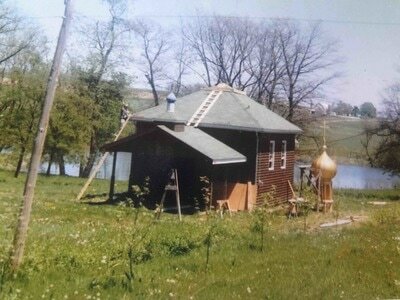 А little piece of Russia in the middle of America’s heartland. ​ According to God's plan, under the cover of the Kursk-Root Icon (Theotokus of Kursk, Found Among the Roots) - the Wonderworking Icon of the Queen of Heaven, St. Nicholas the Miracle-Worker, St. Seraphim of Sarov, Saint Vladimir the Great, the Baptizer of Russia and all Holy Royal Martyrs, the Sunday school for children and adults began its existence. 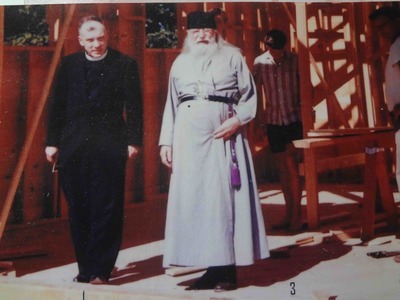 The history of this unique place and God-given church, began in the distant 60s, when Bishop (Vladyka) Serafim, who always loved children, conceived the idea of creating a youth organization and a children's summer camp in his diocese. Once, in May 1961, Yuri Soldatov and Bishop (Vladyka) Seraphim, once again set off to find a place for a summer Orthodox camp for children. After inspecting several sites and not finding anything suitable for this, they decided to return home. And as they were turning back, all of a sudden they saw a farm with a beautiful lake with some woods surrounding it and sign "for sale." It turned out to be a farm of about 70 acres of land, including a 4-acre lake and a 3-acre woodland. On the following Sunday, the Bishop (Vladyka) announced at the Pokrov Cathedral that there would be a picnic for the inspection of the farm. The farm had a field of 50 acres, which was divided into 50 lots. The parishioners liked the picturesque place and many invested money for the purchase of lots. Prince S. Beloselskiy also helped significantly in the acquisition of land. 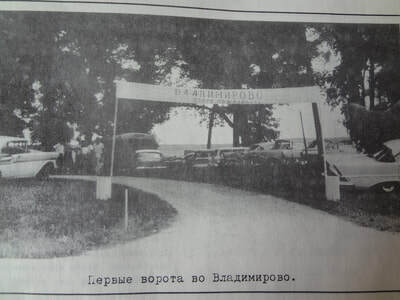 This was the beginning of the Russian settlement of Vladimirovo and the youth camp of the ORPR. In the summer of 1961 the camp was opened. 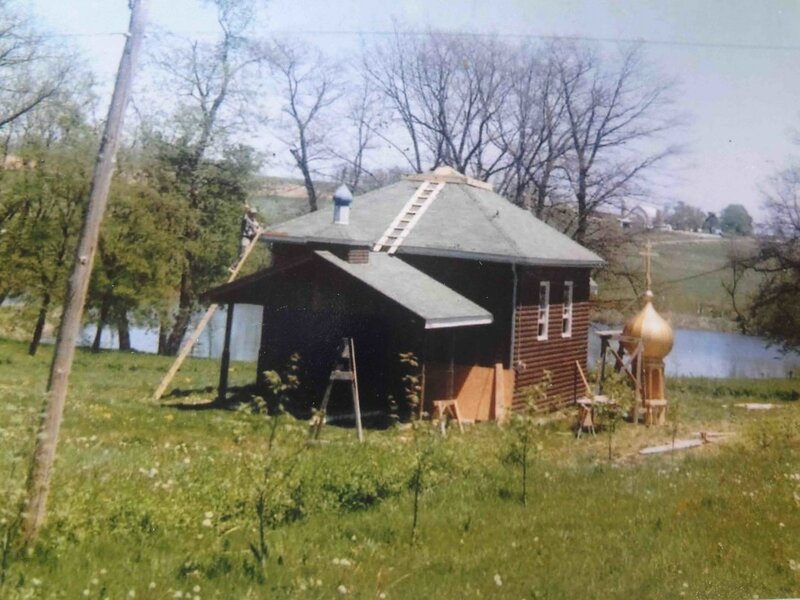 During the camp, divine liturgies were performed in the open air. The Temple was needed. R.B. 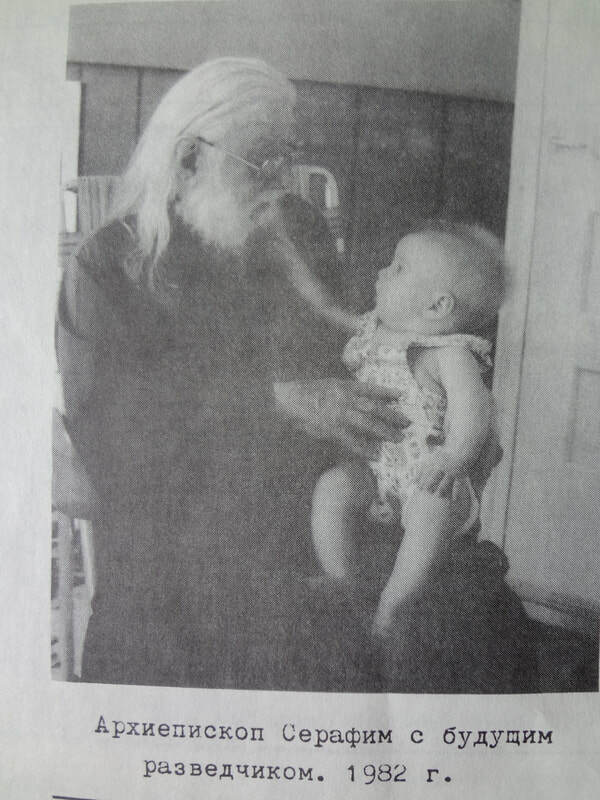 Nikolay suffered greatly from headaches and constant bleeding from the nose. Doctors could not help. At this time, a miraculous icon of the Virgin Kurskaya-Korennaya arrived in Chicago. Both spouses went to the Temple in the evening for divine liturgy. They diligently prayed on their knees to the Queen of Heaven all service long. He saw the Kursk-Miraculous image of the Virgin, as if hanging in the air, and under it stood the Saints, especially honored Russia - St. Nicholas the Wonderworker and the Holy Monk Seraphim of Sarov. The latter takes an icon from the air and gives the heavenly patron of Nikolay to St. Nicholas the Wonderworker. St. Nicholas passes the icon to Nikolay. Nikolay touches the Icon and feels that as if an electric current runs through his body. When Nikolay Kovalenko woke up, he felt completely healthy. A old monk appeared to him in his monastery clothes with a long gray beard and said: "The Mother of God has healed you and you must build a church." In the third dream, the same monk already strictly warned him: "You are told to build a church. If you do not obey, then the disease will return. " 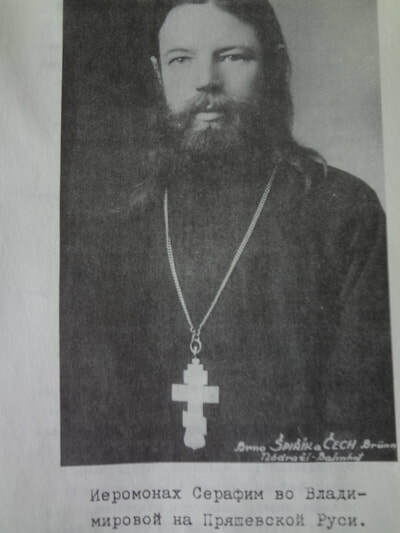 Then Nikolai decided to go to Bishop (Vladyka) Seraphim to consult and said that he was ready to give all his little savings to the construction of the temple. So according to God's providence, in spring of that year the work to build a holy temple began. 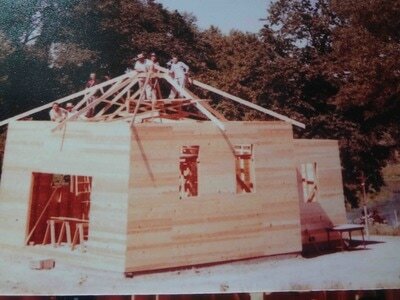 The temple was built without any outside assistance and in 3-4 weeks the temple was ready. Protodeacon John made a carved iconostasis, analogia and icon cases (kiots). The temple was built in honor of the Baptist of Russia, Saint Vladimir the Great. 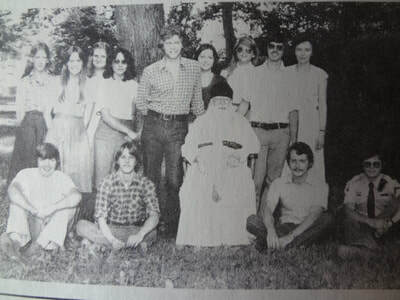 In the middle of the 60s the spouses Geshvent, Georgy and Melissa moved to Vladimirovo. 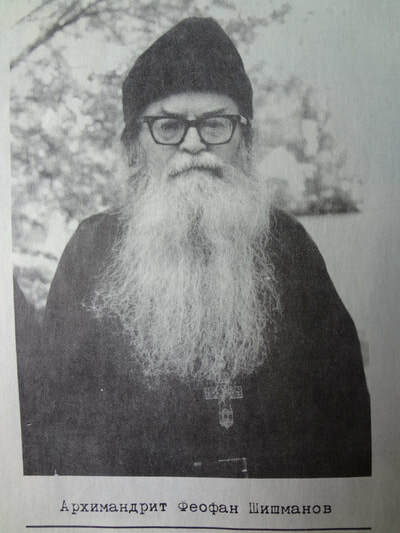 Georgy became an active assistant to Bishop Seraphim. After his death, he bequeathed to open the Parish School for the Glory of God. Help us Lord, Mother of God and all the Holy patrons. 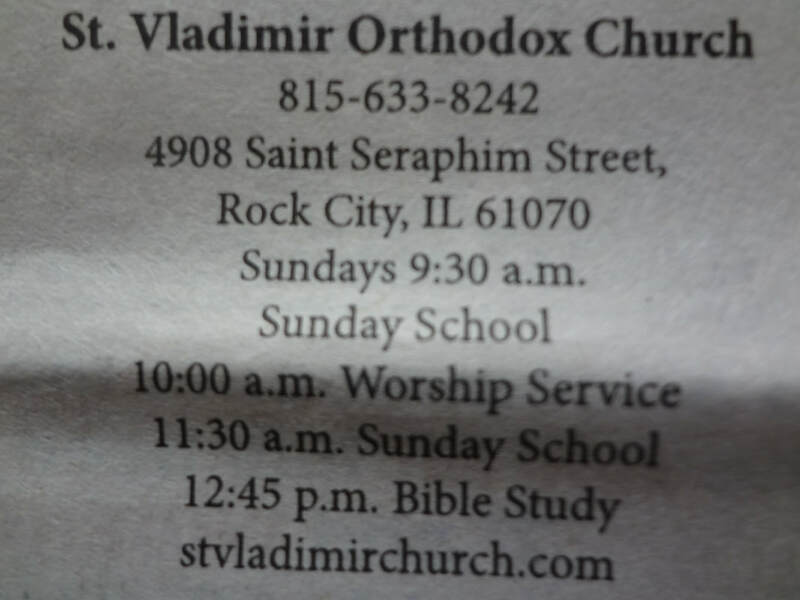 Father Serafim started the camp in Chicago with children from the Russian Orthodox Chicago and Detroit dioceses. The mornings would be spent in classes and the afternoons in hiking, field trips to museums or to the zoo. Soon they began planning for a “real camp.” Fund-raisers were held and the children took up collections and when all of the funds were totaled, they had managed to raise $10,000. The Bishop and others then began looking for a place they could buy for that price. Seraphim's dream camp opened in 1961, drawing 50 youngsters for a four-week session. There were classes. The kids wore khaki-and-blue uniforms, much as they might have as scouts in prerevolutionary Russia. "We hope to provide a wholesome setting for the youngsters in which to nurture their belief in God," counselor Valentin Schlegowski told the Freeport Journal Standard. "It will also give us a chance to refresh our knowledge of the mother country. We hope to do this in our newly adopted country without forsaking the culture of the old." Training young people in the faith and culture of their ancestors is the purpose of Lost Lake's summer camp, which is conducted for four weeks every year on the property that adjoins the church. 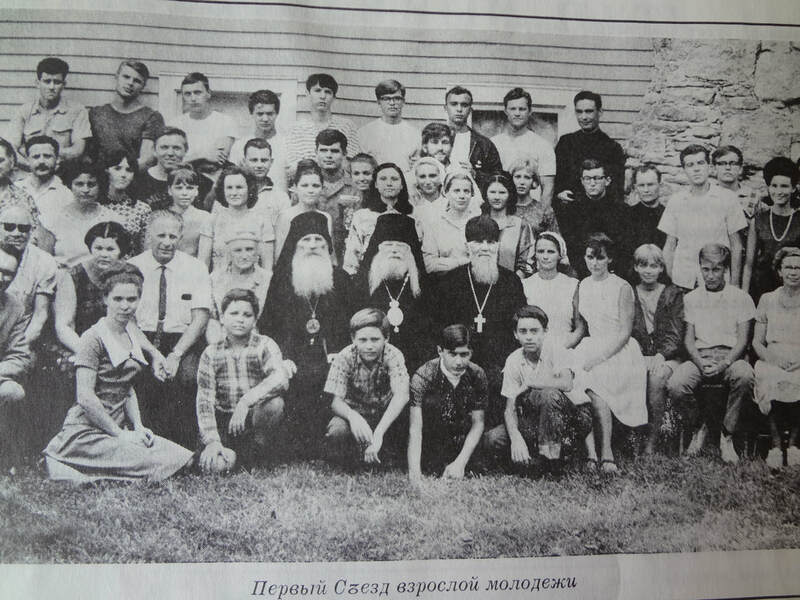 The campers, aged 7 to 16, come for what their parents hope will be a stiff immersion in old Russian life. They sleep in open-air cottages. Each morning they don uniforms--khaki shirts and blue pants or skirts--and march military-style to breakfast. 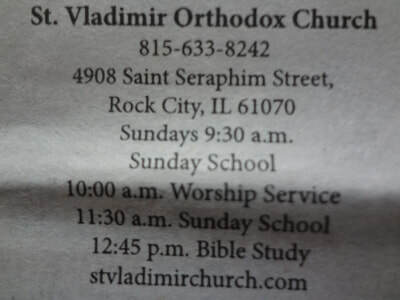 The morning is taken up with classes on the Russian Orthodox religion and Russian history and language. Everything is conducted in Russian, "or at least we try to," says George Ignatiev, a mechanical engineer from Grand Rapids, Michigan, who is the camp chairman. "For those kids who don't understand there are interpreters." Some of the special activities sound rather onerous. For two weeks, normally the first two weeks of camp, the kids observe a fasting diet to prepare for confessing their sins and receiving communion on the holiday of Saints Peter and Paul in mid-July. Outings include forced marches to state parks nearby. But most afternoons the kids can change out of their uniforms and pursue the usual summer-camp activities--swimming, hiking, fishing, and so on. In the evenings there are movies, bonfires, and hayrides, and on Friday night the camp holds a dance that thumps with rock music. The highlight of the summer comes on July 28, Saint Vladimir's Day. Parents and Church Abroad priests converge on Lost Lake for a service and a march to the campground. 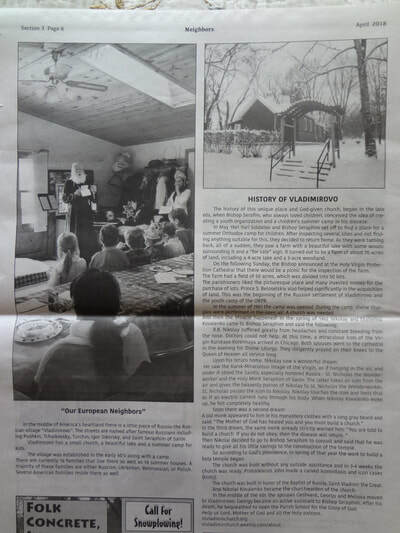 At 2:30 in the afternoon the campers put on a program of skits, dancing, and singing, and then there's a picnic of traditional fare--Russian-style hamburgers, cabbage roll, rye bread, and borscht.